My wife’s mother comes from a lovely village in West Cork called Goleen – and we have a holiday home there – which we visit a couple of times each year. It’s great to see that on recent trips more and more Irish craft beers are appearing on the shelves of the supermarkets there. 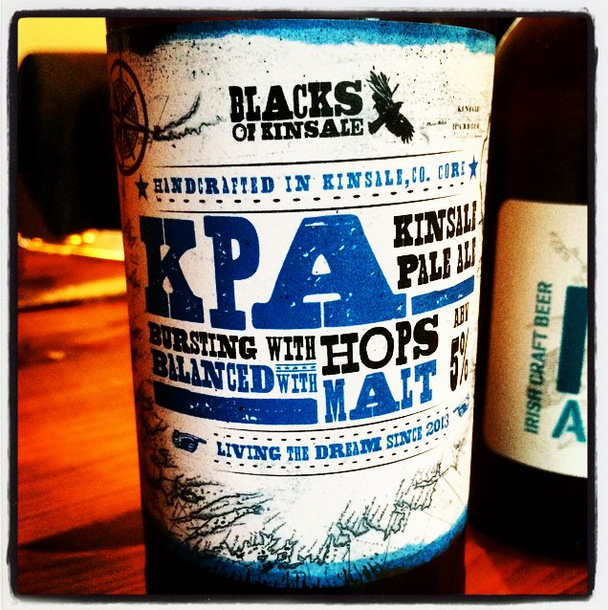 This KPA from Blacks of Kinsale is one of my favourites – it’s got everything you want from a modern day IPA – plenty of hoppy punch and aromas with that perfect bittersweet blend. You can put this up against any big hitting IPA and it will compete with the best of them. I’ve not seen it in the UK – but if you are visiting the Emerald Isle then check it out if you get the chance! © 2017 Bru Haroo! All Rights Reserved.